Sure, breakfast is important—eating it can apparently improve everything from concentration and mental performance to memory and mood. But unlike other meals, we tend to be monochromatic and a tad predictable in the morning, rarely budging beyond beige with bagels, coffee, muffins, and cereal. The Wild Oat’s Japanese breakfast shakes up a mundane meal and feeds the body the kinds of colours and textures—not to mention nutrients—we’re not used to getting until well past noon. First, our eyes can feast on the pretty white and blue bowl that comes filled with organic brown rice, dark green lacy kale, crisp broccoli florets, sautéed mushrooms and sweet onion slivers doused with tasty tamari. On top comes a choice of tofu or egg served in fluffy golden ribbons not unlike those eggy bits that add substance to Chinese fried rice. Sprinkled on top, black and white sesame seeds and tiny squares of dried seaweed add a nice bit of visual punch. A little bowl of mellow miso soup may not add much colour, but it warms the tummy at least as well as your beloved oatmeal. Available daily until 1 p.m. $7.95. The Wild Oat, 817 Bank St., 613-232-6232. 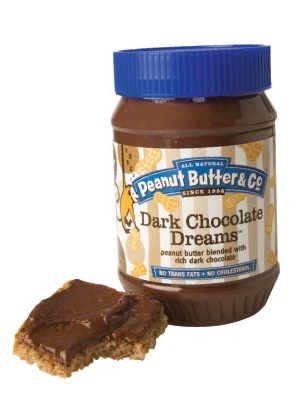 Unlike, say, bologna or Coca-Cola, peanut butter is one food that has lost none of its lustre since teddy bears endorsed the brand of my childhood. I have, however, replaced that icing sugar and trans-fat fix with natural varieties. Some people complain about the gummy texture and the annoying oil separation that occurs with the natural stuff. These are the people who will never experience peanut butter perfection as I have. Tucked among the shelves of virtuous goods at Rainbow Natural Foods (1487 Richmond Rd., 613-726-9200) is a divine product from New York’s Peanut Butter & Company (www.ilovepeanutbutter.com), a renowned little sandwich shop in Greenwich Village that grinds its own peanuts daily. Forget Buffalo. 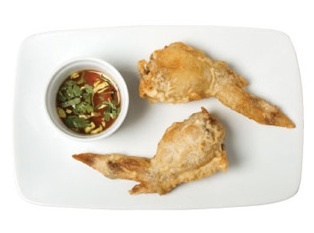 Ottawa’s own Nokham Thai (747 Richmond Rd., 613-724-6135) has perfected the art of the chicken wing. You really have to try these to believe them. They are the trompe l’oeil of appetizers, a deliciously addictive optical illusion. It may look like a regular old deep-fried wing on the outside, but one bite reveals another thing entirely: something more akin to a really outstanding egg roll. These wings have been boned (with the wing-tip left intact) and stuffed with a mixture of ground pork, vermicelli, shredded carrot, and fresh lemongrass. Best yet, this spectacular filling makes its home inside a crispy chicken skin. A spicy, almost syrupy, sauce served alongside brings a perfect hit of cool cucumber and hot chilies into the mix. A word of warning: this signature dish is often sold out. I’ve managed only about a 50 per cent success rate. Frustrating, perhaps, but I choose to believe it only heightens the wings’ allure. It’s not that the word comfort wouldn’t be perfectly appropriate attached to the most delectable items found at Ottawa South’s prized bakery (Cakes By Tatiana, 1202 Bank St., 613-523-2112). This is the place where comfort food goes when it’s having a bad day. 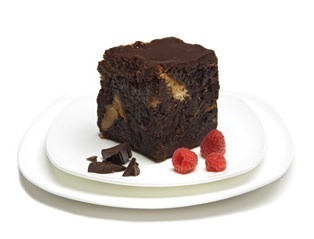 An original invention, comfort pudding might be best compared to a really fabulous bread pudding—minus the bread. It’s the happy marriage of steamed custard and cake plus what Tatiana describes as “whatever the hell I feel like putting in it that day.” On a recent visit, it was cranberries and caramel; another time, it was dark chocolate and raspberries. Depending on the season and the whim of the baker, it might be white chocolate-pistachio, cranberry-orange-almond, fresh strawberry, and so on. Like all great comfort foods, its texture is unctuous and its proportions are massive. One look at the giant slabs, and you might be tempted to share your square. Do yourself a favour: get your own. As I attend to the slow, almost meditative drip-drip-drop of dark, rich coffee through the stainless-steel filter, I am reminded of how few aspects of modern life require this kind of ritual. After five minutes (seems like 20), I peek under the lid only to discover we’re not even halfway there. I look over at the tall glass of ice, and—perhaps I’m projecting here—it appears to be sweating with anticipation. When the time comes, the filter’s lid becomes a place to park the coffee-making contraption, leaving me alone at last with the dark, aromatic nectar. A few turns with a short spoon reveal the thick, sweet layer of condensed milk waiting at the bottom of the cup. 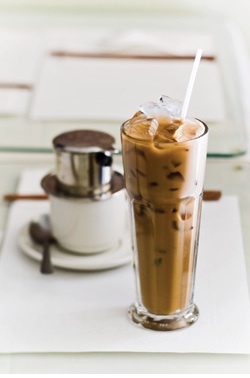 The whole thing—now the colour and creaminess of caramel—is then poured over ice and stirred with a long spoon. I guarantee it will take you less time to polish off this divine beverage than it did to make it. Café Indochine, 105-B Clarence St., 613-241-6378. HUNGRY FOR MORE BITES? Click here.